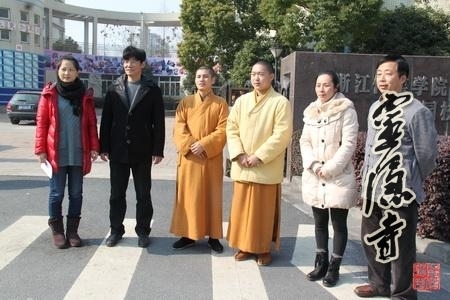 January 15th, 2014, when the city of Hangzhou was bathed in warm sunshine, students of Experimental High School attached to Zhejiang College of Communication (also named Hangzhou Genshan High School) received a special end-of-year gift: thanks to the organisation of Venerable Guangquan. 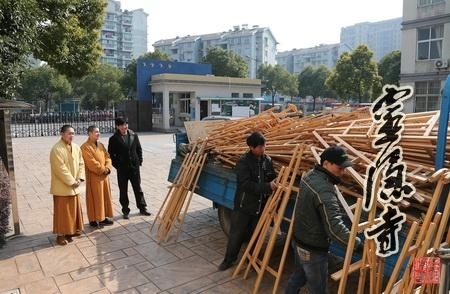 Abbot of Lingyin Temple, a truck fully loaded with easels was arriving at Beijingyuan Campus of the school. Together with the easels came Venerable Zhizhong and Venerable Zhengqin, who drove the truck all the way from the other end of the city. With this donation, students of Genshan High School would soon be able to have brand new easels for their art classes. 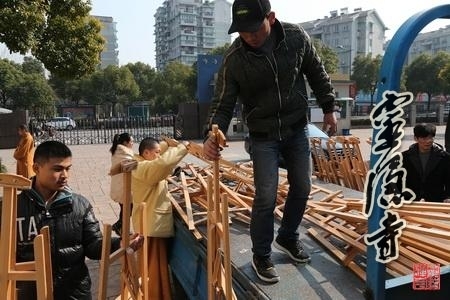 The truck arrived at Beijingyuan Campus, Genshan High School during a morning break, and students joined their teachers, the venerables and volunteers from Yunlin Volunteer Association to unload the easels. The student helpers, dressed in school uniform, were very excited. “It seems like yesterday when we ate the Laba porridge from Lingyin Temple, and today the easels arrive, exactly what we need for the art class! Thank you so much.”, said one student. Teachers also complemented on the good quality of the easels, and were very pleased with the fact the new equipment could further motivate the students. Such a scene brought exclamation out of the chest of Venerable Zhengqin, who said that greatest teacher for all Buddhists was Sakkyamuni, the Buddha, who has been enlightening all sentients with his unbounded wisdom, and that one shared thing between being a student of a school and being a student of Buddhism is the spirit of gratitude: one needs to be thankful to the training received from his school, and the patient guidance offered by his teachers. 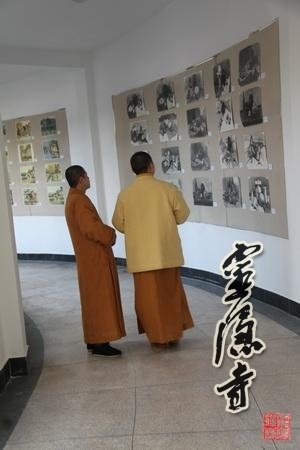 Venerable Zhengqin and Venerable Zhizhong also inquired about the life of the students with great interest, and admired the works of the students, awing at the lifelike portraits they painted. Principal Chen of the school expressed his sincere gratitude, and his wish to return the favour with gifts or a silk banner to the temple. The venerables politely declined his kind offer, however. In the end, everyone agreed to take a group photo at the school gate, bringing this heart-warming event to conclusion.